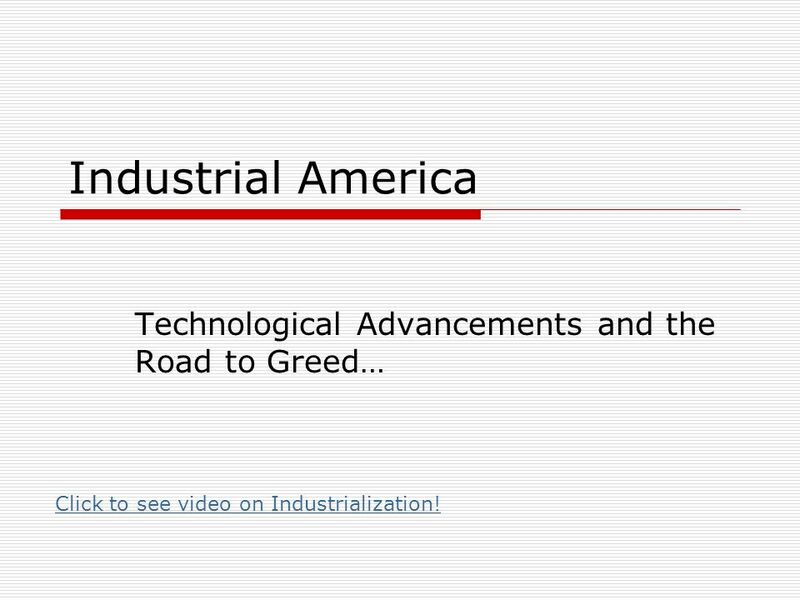 Industrial America Technological Advancements and the Road to Greed… Click to see video on Industrialization! 2 How did this all start!?!? 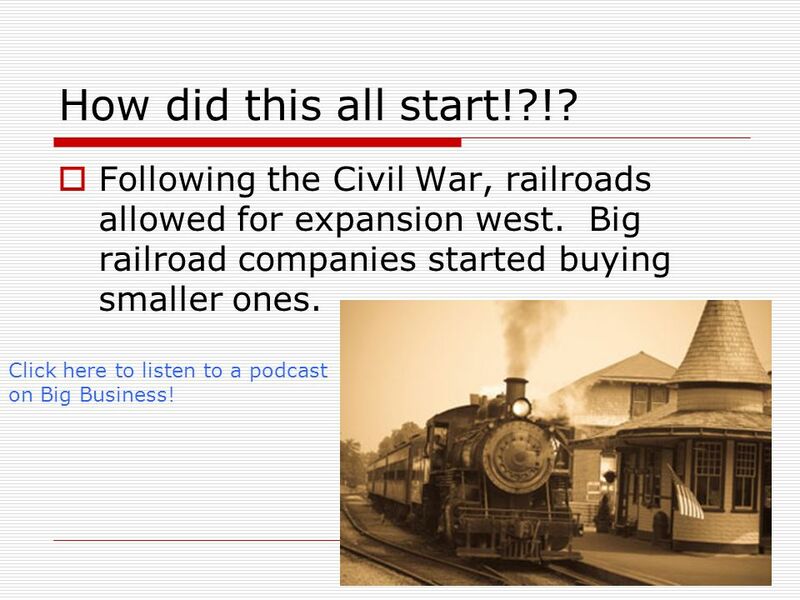 Following the Civil War, railroads allowed for expansion west. 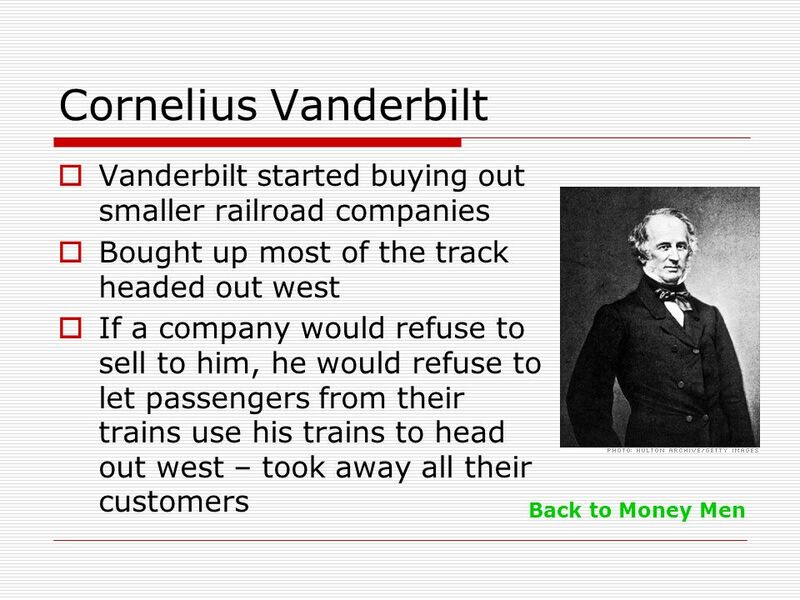 Big railroad companies started buying smaller ones. Click here to listen to a podcast on Big Business! 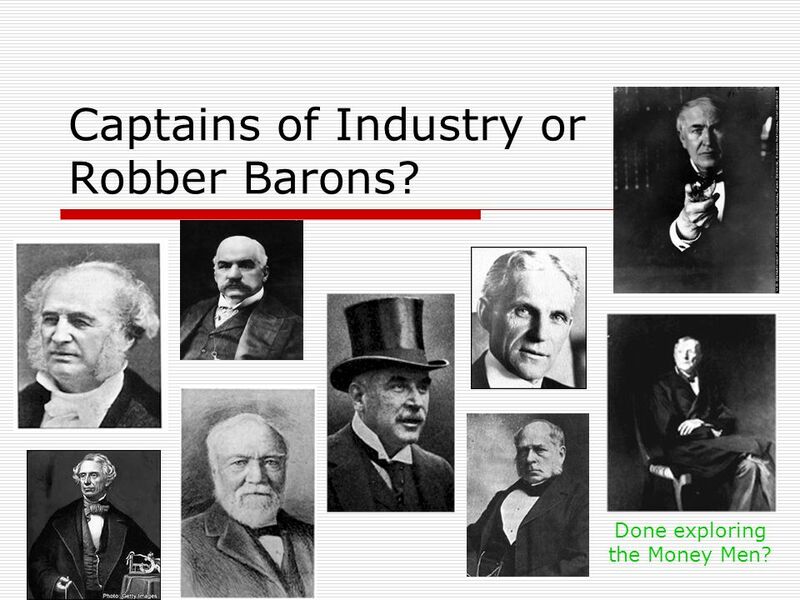 3 Captains of Industry or Robber Barons? Done exploring the Money Men? 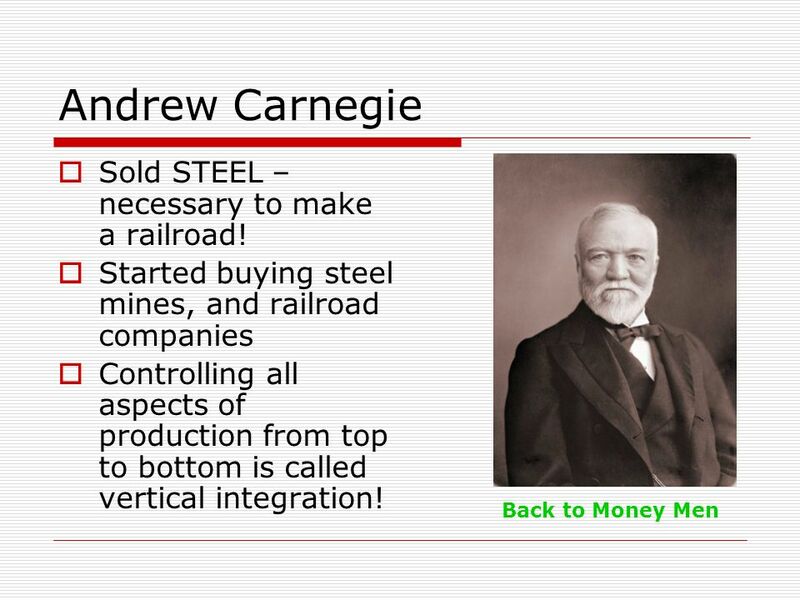 5 Andrew Carnegie Sold STEEL – necessary to make a railroad! 8 What do you think? 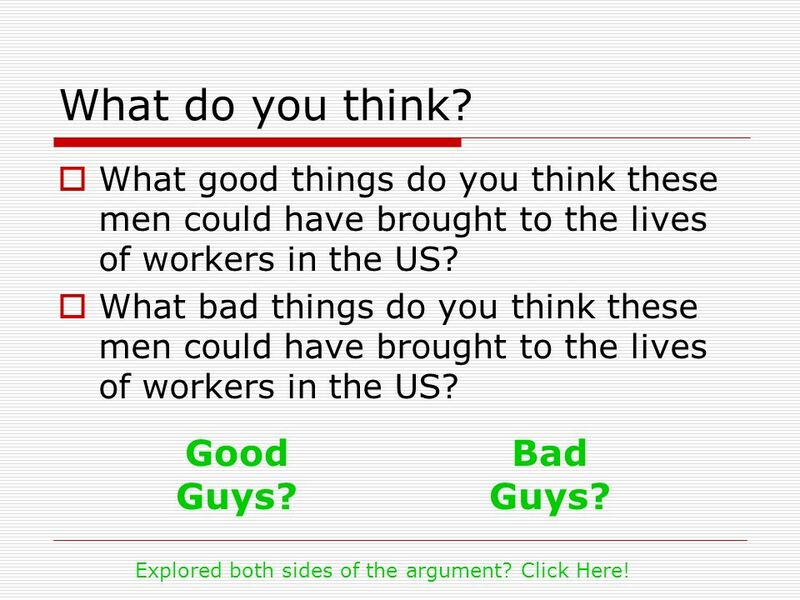 Good Guys? Bad Guys? 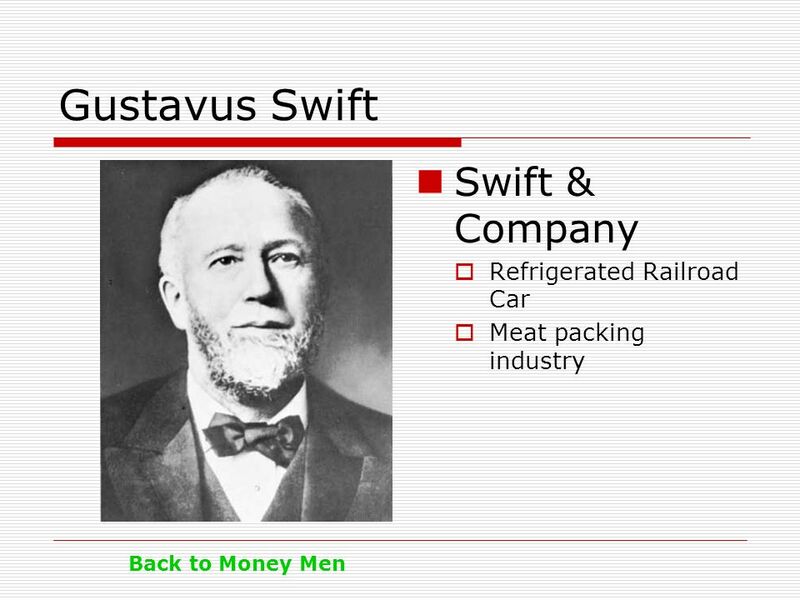 What good things do you think these men could have brought to the lives of workers in the US? What bad things do you think these men could have brought to the lives of workers in the US? Good Guys? Bad Guys? Explored both sides of the argument? Click Here! 12 Good Guys? 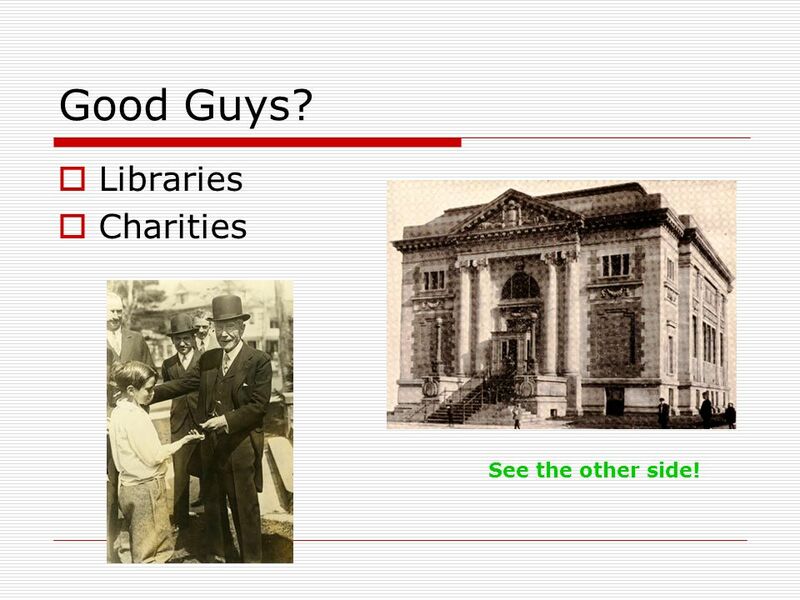 Libraries Charities See the other side! Lavish Lifestyles for themselves See the other side! 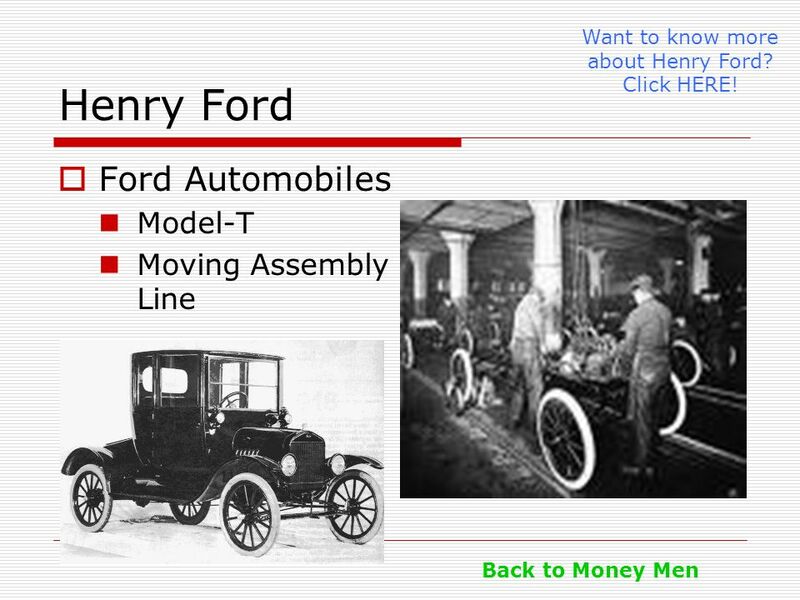 14 Want to know more about Henry Ford? Click HERE! 16 In Summary… Why is it important to identify bias? 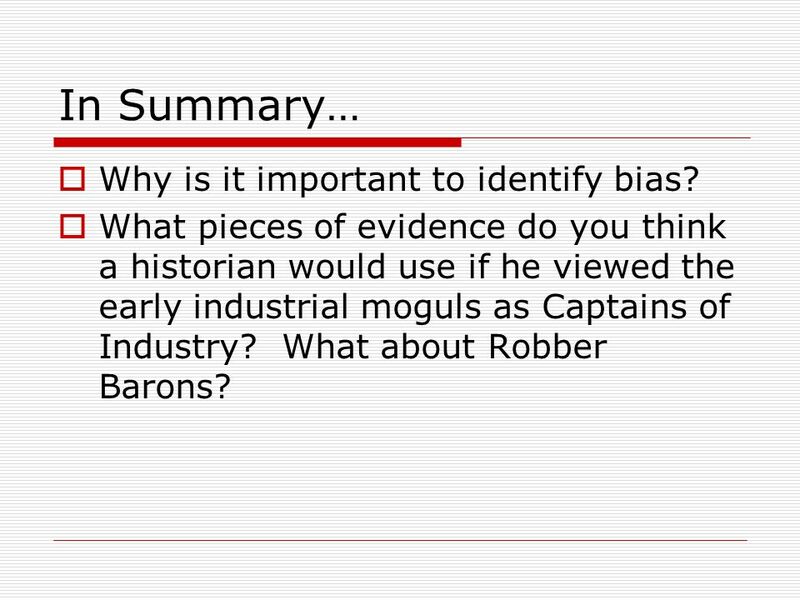 What pieces of evidence do you think a historian would use if he viewed the early industrial moguls as Captains of Industry? 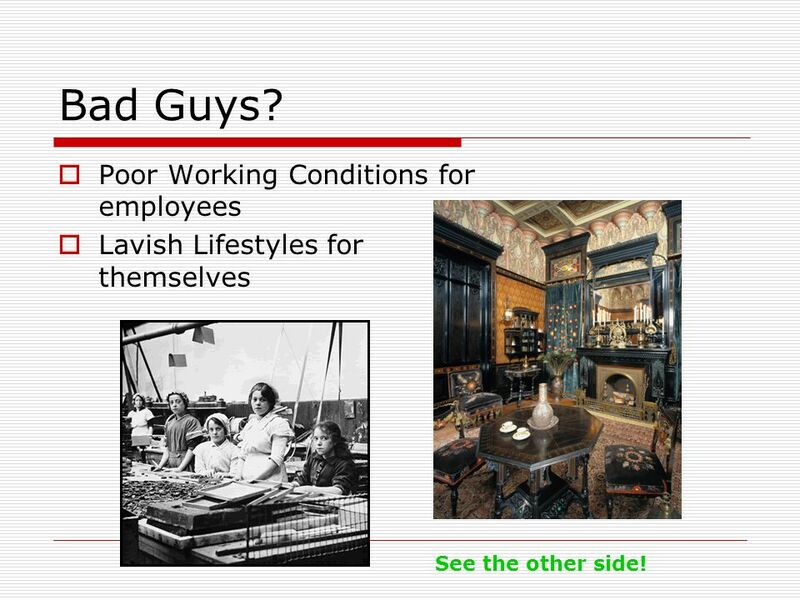 What about Robber Barons? 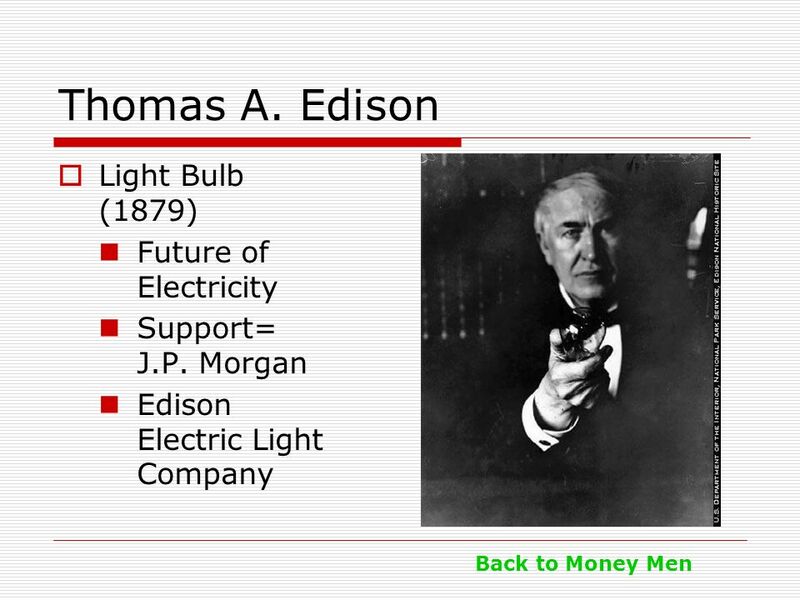 Download ppt "Technological Advancements and the Road to Greed…"
RESULTS OF IMPROVED TECHNOLOGY DURING THE INDUSTRIAL AGE The Bessemer Process, and use of the internal combustion engine Invention of the telephone and. 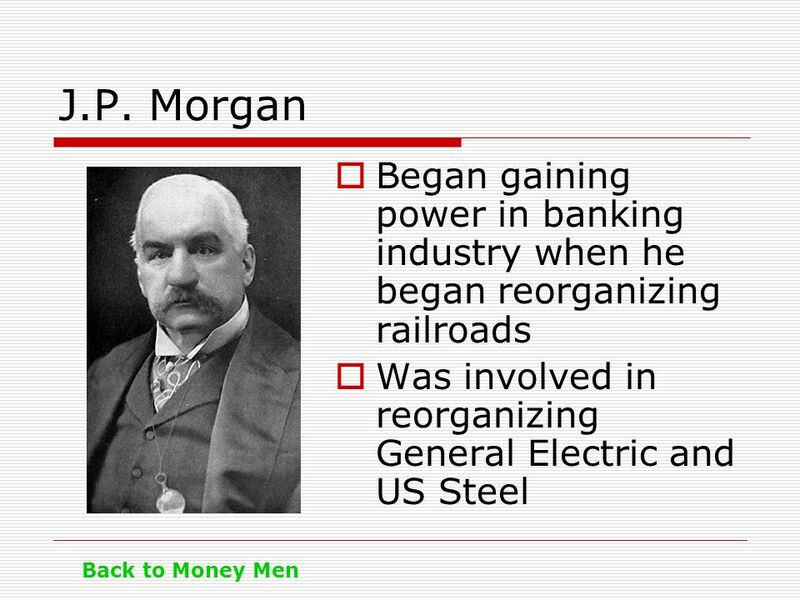 Big Business in the early 20th century Rockefeller, Vanderbilt, Carnegie and J.P Morgan. 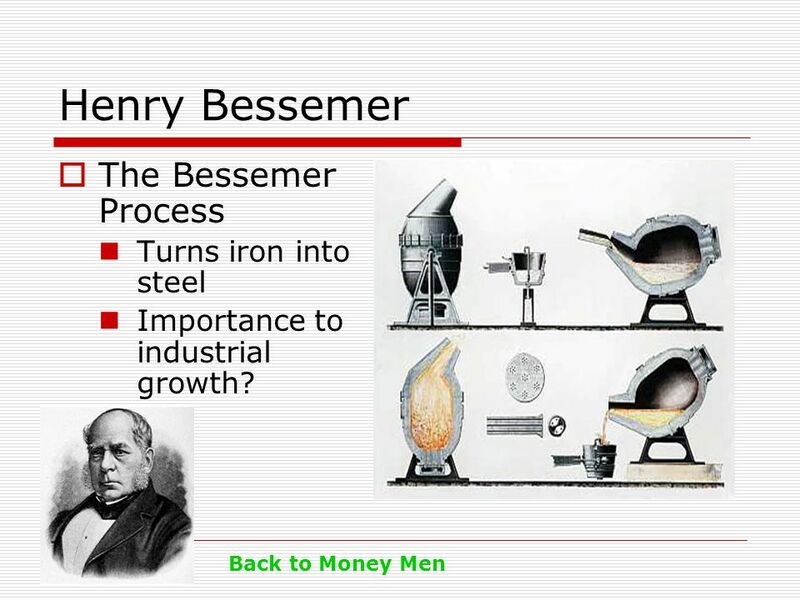 What factors caused the growth of industry in general? Andrew Carnegie Captain of the Steel Industry. Born in Scotland. Moved to America when he was 13. Grew up in a poor family. He worked hard and became. Industrialization America forever changed. Modernizing America America was on a new horizon – Before this time America was vastly different than today's. 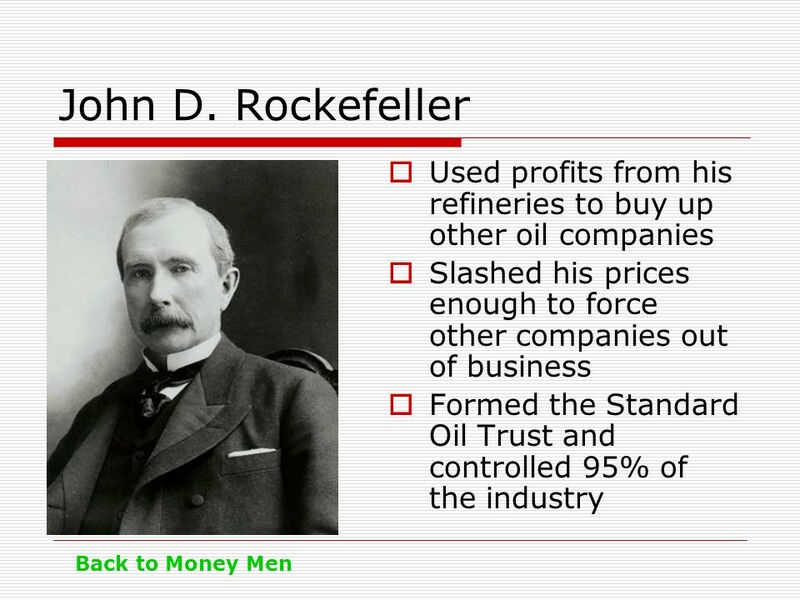 Captains of Industry or Robber Barons? 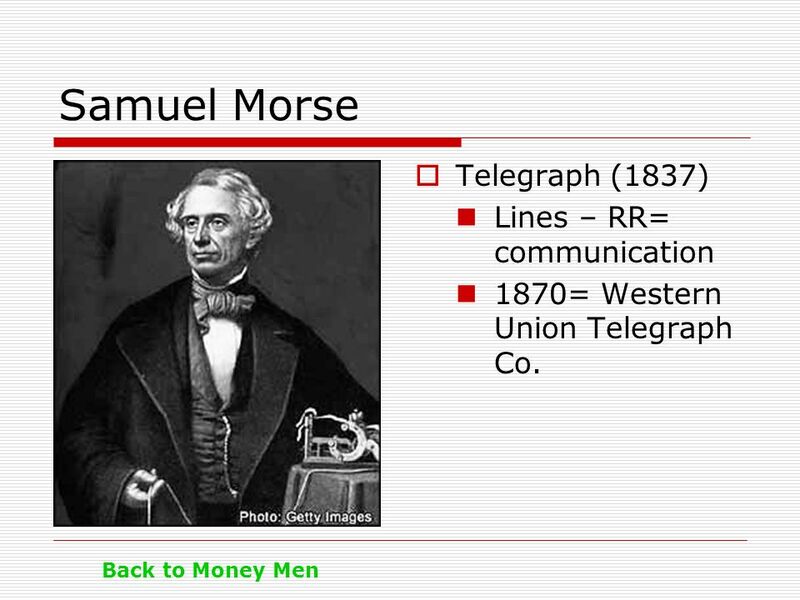 American History 1. American History 10-27-14 Do Now = Industrialization Pre-Test Agenda Analyze Data Multimedia Overview Notes Student Workbook Project.